Have you failed to play ASF videos on Mac? Don't worry. Many people have encountered the same trouble with you. Here this article will tell how to convert ASF to MOV, so that you can play ASF videos on macOS 10.7 or later without any problem. Convert ASF to QuickTime MOV on Mac with 90X faster speed. 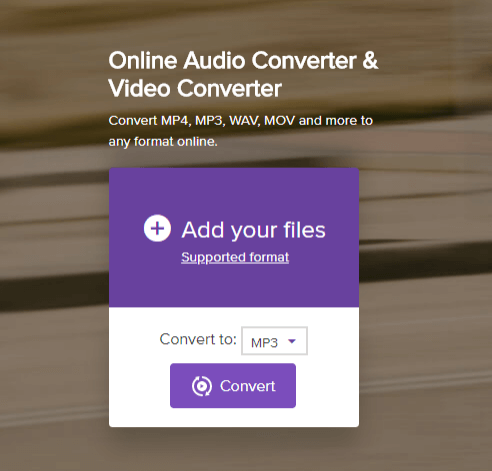 Apart from MOV, you can also convert ASF to MP4, MKV, VOB, WMV and other up to 150 video formats. 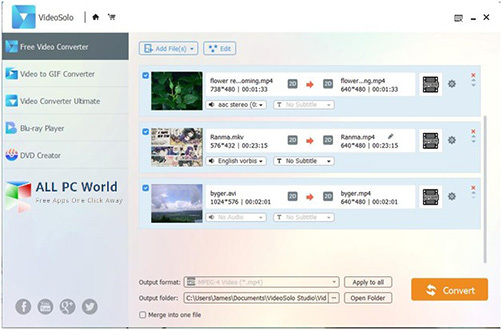 Trim, crop, rotate, add watermarks and more effects to your ASF video files before converting them to MOV. It is pretty easy to download online video from YouTube, Facebook and other 1000+ sharing sites. Easily burn ASF files to DVD with your own background. Perfectly compatible with macOS 10.7 or later, including 10.11 El Capitan, 10.12 Sierra, 10.13 High Sierra and 10.14 Mojave. 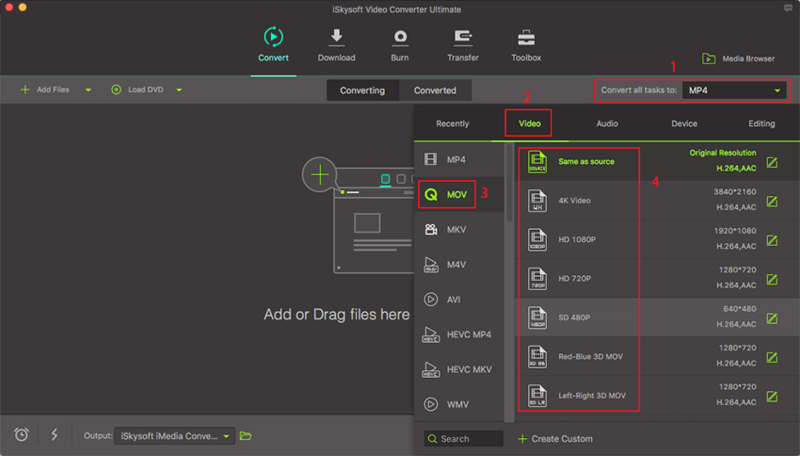 Install iSkysoft Video Converter Ultimate on your Mac or Windows PC, then open it. Drag & drop ASF files to this ASF to MOV converter. Or go to the main menu, choose "Add Files" to locate the ASF files that you want to add. Please follow the screenshot below to set "MOV" as the output format. Here you can also choose other output formats like AVI, MPG, MKV, M4V, MP4, 3G2, 3GP, TS etc. as you wish. Audio formats allowed too. Hit "Convert" and let this smart Video Converter for Mac do the rest for you! After the ASF to MOV conversion, you can freely play your ASF videos on Mac, iPhone, iPad, iPod, iTunes etc. or edit in iMovie. For users that want to enjoy the converted MOV on iPhone, iPad and even Android device, iSkysoft video converter will enable you to transfer the video easily! When it finished conversion, click the "Finished" tab and right click on the video. Choose "Add to Transfer list". Now you just need to connect your mobile device to the computer, and go to the "Transfer" tab to finish the rest! Feel free to download this ASF to MOV converter for Mac and Windows. 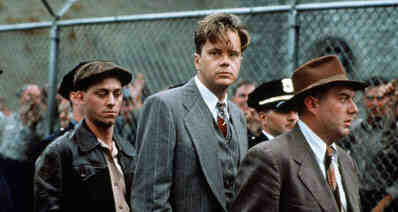 You will find it brilliant!